Jumping back to the sunset before “Wharariki Holiday Park Star Trails”, I snapped these photos at Wharariki Beach of the Archway Islands and the surrounding area. While taking in the evening light the tide was going out and I kept having to adjust my composition every few minutes. I was really hoping for some spectacular light and clouds around the islands but it was not meant to be. So instead I turned 90 degrees to the right and shot the amazing light show going on in the west. The area I was walking on had been underwater earlier in the day and the receding tides carved out beautiful lines and holes in the sand for an interesting foreground. 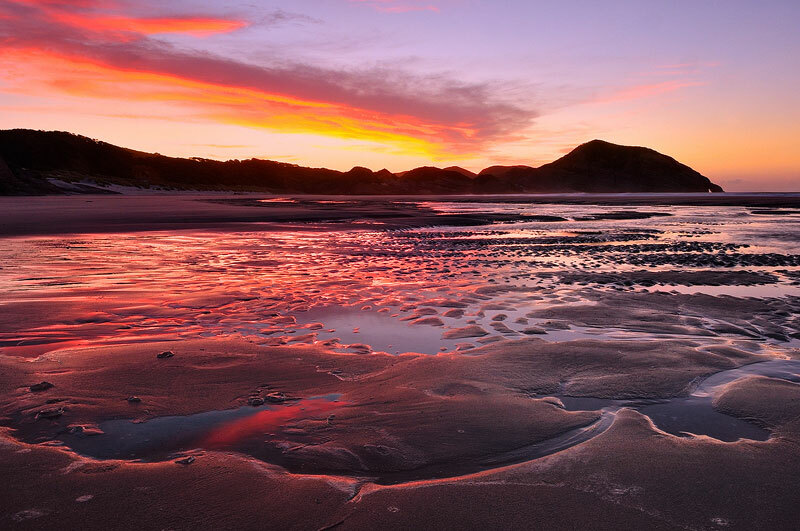 “Wharariki Beach Sunset” Wharariki Beach, New Zealand. 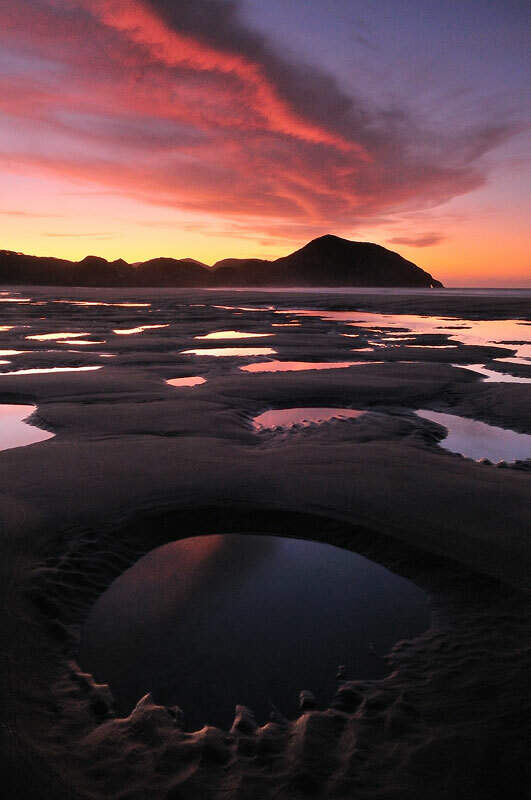 “Sand Carvings” Wharariki Beach, New Zealand. 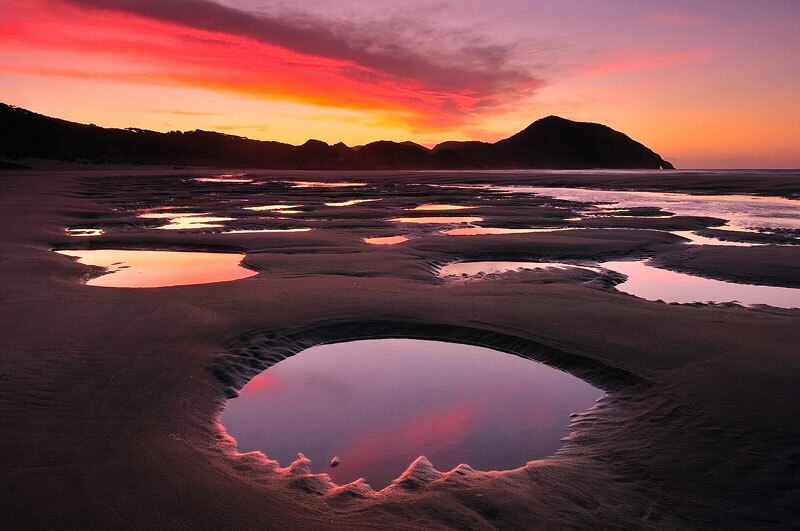 “Pothole” Wharariki Beach, New Zealand. “Sky Eruption” Wharariki Beach, New Zealand. 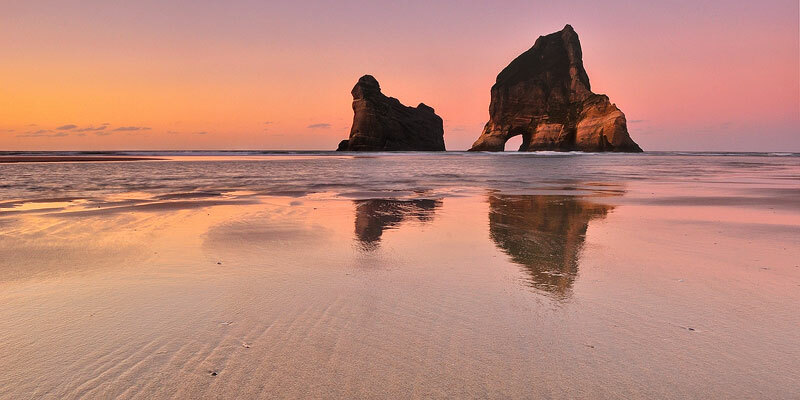 Written by Mike Isaak, posted on September 18, 2011 at 2:26 pm, in New Zealand and tagged new zealand, sunset, travel photography, wharariki beach. Permalink. RSS feed for this post. « Star Trails – Wharariki Beach, New Zealand.